Some good things do last a long time. Ocean City Maryland is one of those good things... and it just keeps getting better! The Ocean City Hook BraceletTM is another one of those good things that lasts... and the 10th Anniversary of the OC Hook proves it! Ten years... ten summers of fun and sun, and the great memories just keep on coming! Ocean City is your place, and the 10th Anniversary OC Hook symbolizes the memories with a precious metal tribute to the Beach the Boards and the Bay! A lot has happened in 10 years, but the time spent in OC is forever is held in your heart as a reminder of all that is right with the world! 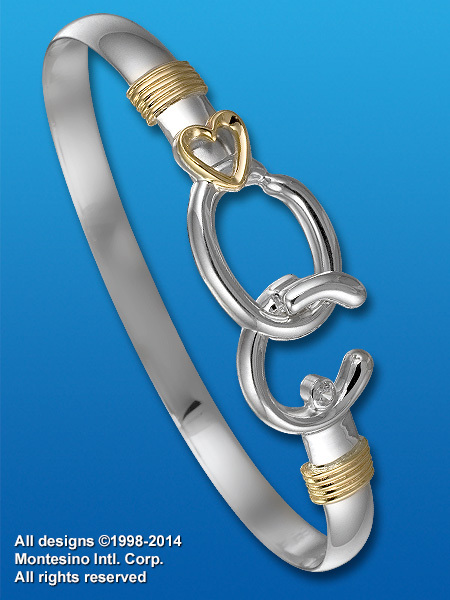 Wear and remember... the 10th Anniversary OC Hook, a true symbolic treasure.